On the evening of May 9th 1938, well respected man Herbert Hargreaves and his two sons Herbert Jnr and Leslie walked from their home in North Crescent, Duckmanton, down the hill to Markham Colliery as usual to start work on the night shift, where Herbert was a contractor. The next morning, Herbert’s wife was busy getting breakfast ready when she heard that there had been an explosion at the pit and many miners were involved. By the end of the day she knew that her husband, 49, and both her sons, 27 and 23 were dead. It was a tremendous loss for the four women they left behind. Herbert’s wife lost her husband and two sons. Irene Hargreaves lost her father and two brothers. Sylvia Woodlidge lost Herbert Jnr, who she was due to marry within a few days time, and Leslie left a fiancee. Herbert and his two sons were buried in the same grave at Duckmanton. A service for them and thirteen others from the village had to be held outside because the little church could not hold them all at the same time. After the disaster it is understood that Herbert’s wife and her daughter moved away. In the matter of the Workman’s Compensation Act 1925 and in the matter of an Injury by Accident Compensation Paper – Herbert Hargreaves 48yrs – £300 – 6th July 1938 to wife Rosetta of 5, North Crescent, Duckmanton. Herbert Hargreaves (the younger) 27yrs – £150 to mother Rosetta Hargreaves. Leslie Hargreaves 23yrs – £150 – b. 3rd Sept 1915 (Settle) to mother Rosetta Hargreaves. Rosetta Hargreaves later went to 105, Saltergate, Chesterfield, and had a B & B. She died in 1958. Irene, sister of Hargreaves sons was born in Barnsley and died 2006, nearly 87 years of age. Ernie Davy was a miner and a big help to Irene. Bruce Boyd was 14 yrs and was asked to identify all three men. He could only identify them by their laces – he was terribly upset. He left the pit and worked on the railways afterwards. 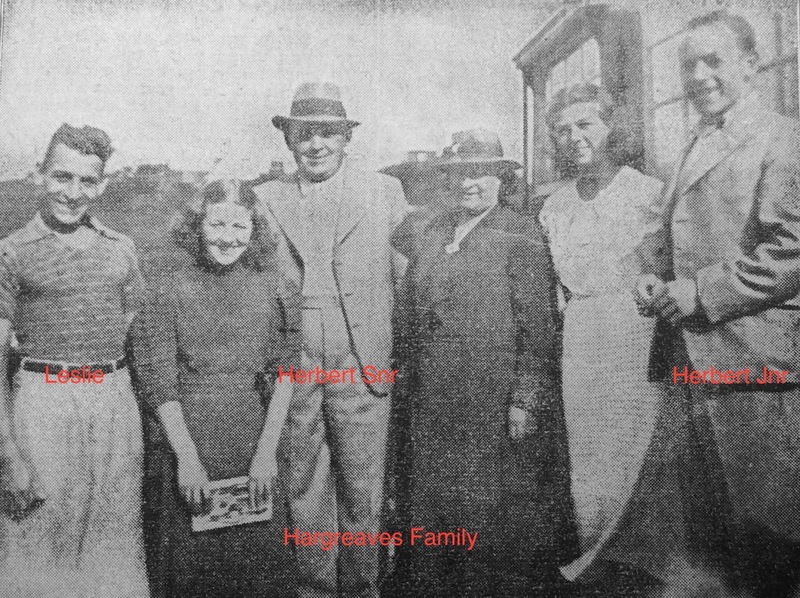 The Hargreaves family, along with the Grainger family, were the families that suffered the most in the 1938 disaster. Herbert Hargreaves Snr, and sons, Herbert Hargreaves Jnr and Leslie Hargreaves were all killed. Herbert Hargreaves Snr and his two sons had all worked at Markham Colliery as contractors. The plight of the Hargreaves family was widely reported in various newspapers. The funeral took place on Saturday 14 May 1938, after the coffins of all three Hargreaves had rested in Duckmanton Church overnight. All three were interned in one grave. 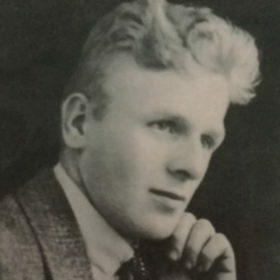 “Hargreaves – In loving memory of HERBERT (father) and HERBERT and LESLIE sons, killed in the Markham Explosion May 10th 1938 – “Death divides, but memories cling”. From Wife and Daughter Irene. To view a filmed interview with Alison Bull about The Hargreaves family click here.